“I don’t have kids, so I have to spoil someone other than my wife." 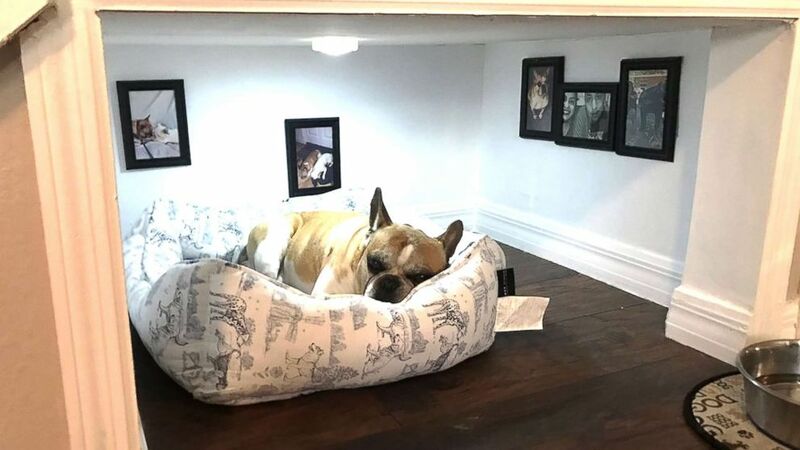 Meet Hennessy the French bulldog, a 6-year-old pup living like a king with his own bedroom nook underneath the stairs. 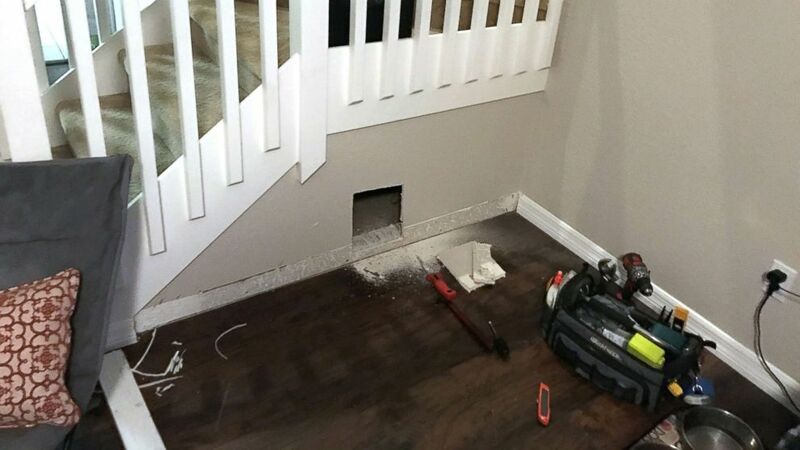 (David Maceo) David Maceo of Tampa, Fla., built a tiny bedroom for his dog under the stairs. His owner, David Maceo, of Tampa, Florida, built the bedroom just for Hennessy. 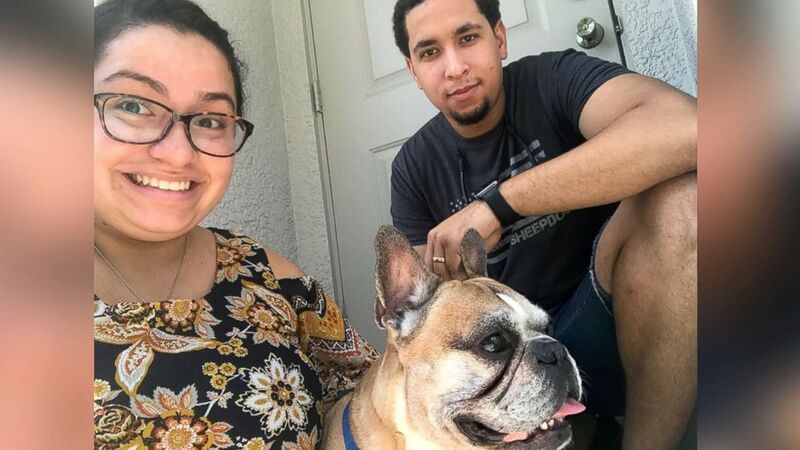 The pup first belonged to Maceo’s brother-in-law, but when he moved to Colombia he couldn’t take Hennessey along because he has a heart murmur. “He was scared if he had taken him he would have passed, so me and my wife took him," said Maceo. But Hennessey beat the odds and has been the couple's companion for years. "He was only supposed to last two years," Maceo said. "He was the runt of the litter. It’s been 6 years and he’s hyper as can be. He’s very obedient." Maceo said the dog loves sleeping in his bedroom, surrounded by photos of their family and his doggy brother, Patron, who died a year ago. "He’s in there right now," he said of the dog’s favorite lounging spot. "I put his bed in there and wherever his bed is, he goes. He stays in there and doesn’t come out." The doting owner also installed a motion-sensor light that turns off after seven seconds if there is no movement. He even installed baseboard moldings to match perfectly with the ones throughout the entire house. "When it comes to projects I want to always give it my own taste and do my own details," said Maceo. "I planned it out, drew it, I went over it and over it to make sure that’s what I wanted to do. Those touches were the reason it went viral." Maceo’s younger brother, Algenis Maceo, tweeted photos of the dog’s bedroom, which now have nearly 350,000 likes. Maceo said his wife already has plans to decorate the cozy space for the holidays.